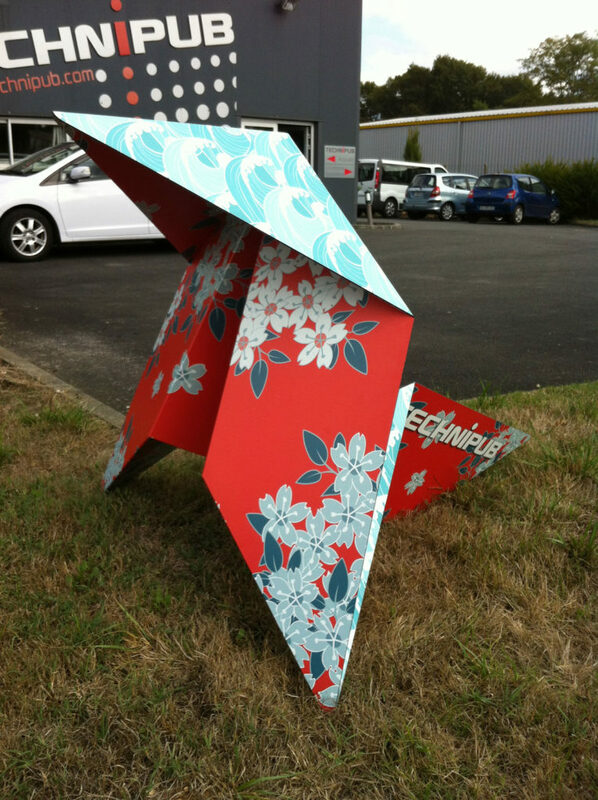 Technipub, French printing and fabrication specialists, recently completed a Dibond art project using the ancient paper folding technique of origami. The technique in French known as “cocette en papier” allowed the team to fold the Dibond aluminum composite into a swan-like design. The team at Technipub printed the white Dibond aluminum composite material (ACM) on both sides with their Arizona 500 XT by Canon printer. The project was then cut on their Kongsberg iXn table, while a milling tool was used to groove the material in order to achieve the folds. The entirety of the project was completed utilizing only half a sheet of Dibond ACM. Technipub uses Dibond on a daily basis for a variety of applications, including by not limited to signage, wayfinding and advertising displays. The team also utilizes the material to print photography with great results. With such extensive use of the material in the past, the team chose it for their artistic piece knowing the capabilities of the Dibond. Another determining factor for Dibond’s specification was the project’s ability to be placed outdoors. Dibond features an aluminum exterior and specialized coating that creates a protective barrier from external elements. Dibond aluminum composite material has become increasingly popular in the art world. The qualities, rigidity, lightness of weight, and printability create a unique canvas for artists. 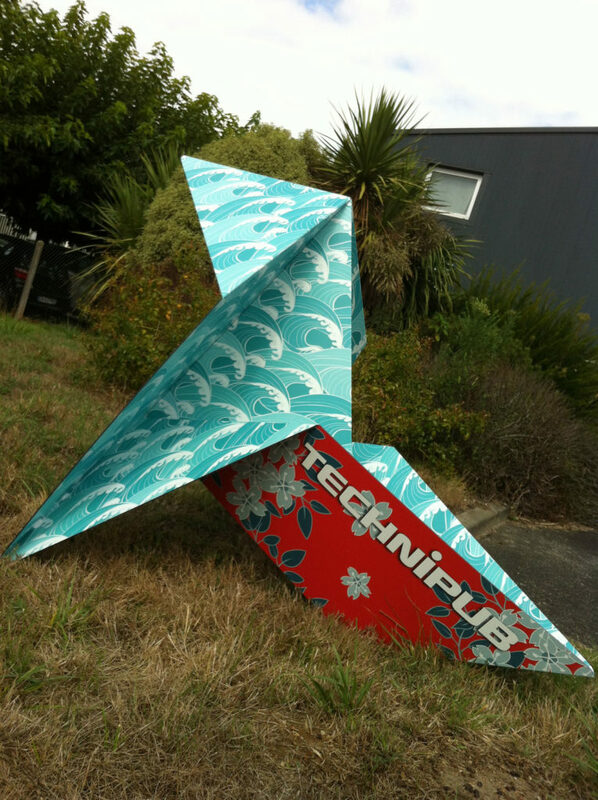 With that, the team at Technipub expresses their desire to work with the material in more creative applications, like their origami design.